I made 10 peaches to hang on the walls. Each peach was 38cms across and depicted a different part of the story (i.e. seagulls, jet engine, sharks, etc). 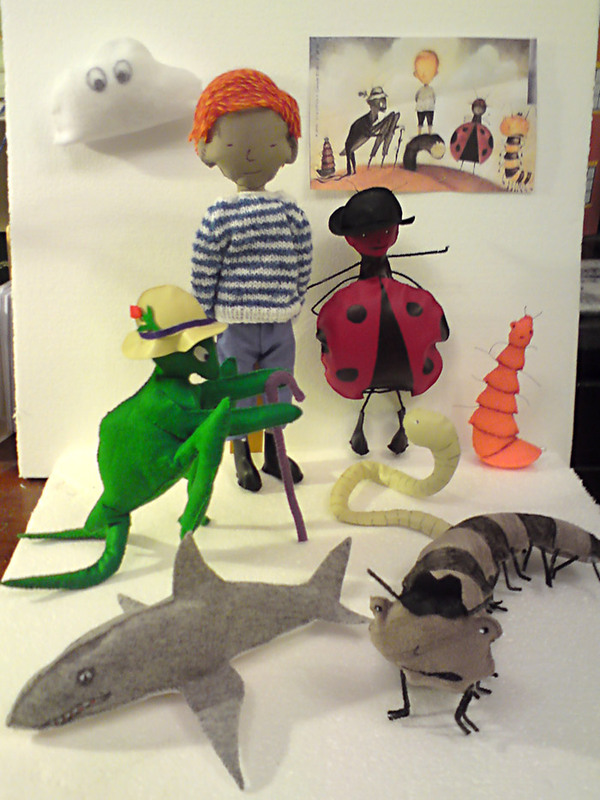 The picture is of the 9 characters that inhabited the peach – James (15cms high), the Ladybug, the Grasshopper, the Glowworm, the Earthworm, the Spider and the Centipede (with 42 legs!). I also made a cloudman and a shark.